Gangster movies have long enjoyed a special status in American culture, even before such blockbusters as The Godfather trilogy and Scarface brought millions of Americans to the cinema. Whether you enjoy the action and conflict, or the sometimes skewed take on history, or the often touching stories about devotion to and protection of family, you probably like gangster movies. These elements always combine in the best gangster movies, and sometimes the bad guys seem so chivalrous that you may even find yourself rooting for them. So grab a bowl of popcorn and settle in to watch some of the great picks on this list. 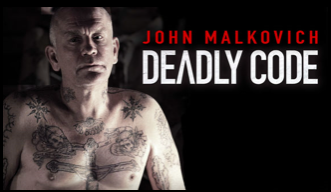 This movie is a story about Siberian crime clans. In a remote area of the Soviet Union, a tiny forgotten area is populated solely by hardened criminals. Since the community is something of a jail of its own, standard laws do not apply. Everyone lives by the local, homegrown laws and codes of conduct. Since this is a community, they have children growing up amongst them, and this movie tells the story of two of them who grew up together as best friends. Over time, their friendship is pushed to the side in favor of the brutal criminal code of the clans they grew up with. And despite being best friends as children, they are on opposite sides as adults. A Netflix original film, The Outsider is set in 1954 and follows Nick Lowell (Jared Leto), the only non-Japanese inmate in a prison located in Osaka, surrounded by Yakuza criminals and other inmates in the group. Nick saves a Yakuza named Kiyoshi from being hanged to death, whose Shiramatsu Yakuza clan repays his debt by arranging Nick’s release. He is also offered a job: Anthony Panetti, an American copper tradesman with a deep hatred for the Japanese, has refused to negotiate a deal with the Shiromatsu clan, but has agreed to a deal with a different clan because they sent an American to talk to Panetti. When Nick sets out to end the relationship with the other group, he ends up murdering the other American in cold blood by dropping a typewriter on his head. Remo is the young hero in this story. 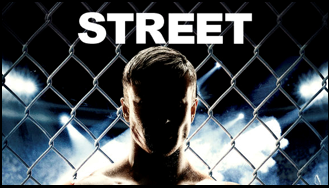 He’s an amateur yet talented Mixed Martial Arts (MMA) fighter that has grown up with a hard life.Â When he inadvertently antagonizes a Russian gang leader, the leader tries to force Remo to be a cage fighter for his gang. Remo resists by joining an underground fighting club and has the opportunity to work with one of the best MMA coaches around. Will he choose the path of honor or will he give in to the rough life he’s grown up with instead? 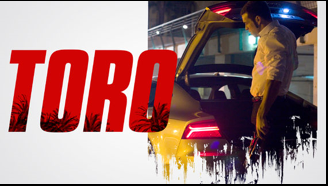 Toro is a young con-man who used to be the right hand man of a brutal crime boss, Romano. When Toro decides to get out of crime and go straight, he makes the mistake of taking on one last job. That operation goes bad and that’s how he ended up in jail. Five years later he’s out of jail and is trying to live crime free. Unfortunately his older brother Lopez works for Romano and has been stealing from him. In retaliation, he orders the kidnapping of Lopez’s daughter Diana. Lopez calls Toro to ask for help. A Gang Boss dubbed Samurai wants to create a Las Vegas style gambling paradise in a small town near the sea in Rome. He leaned hard on the harbor area land owners to force them to sell out to him. He wheeled and dealed with rich mafia families to help fund the project, and he worked over politicians to get everything approved. He even forced changes to legislation to help get what he wanted. But then the politician in his pocket got caught in a career ending position and everything starts falling apart. Samurai struggles to keep the mafia families from turning on each other and to keep everything rolling towards finalizing his dream. This story is an exploration of the truth, by a boy that is now a man. 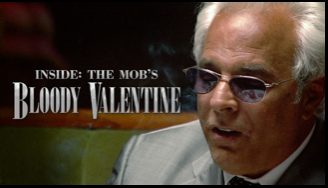 Johnny Fratto is the son of one of Al Capone’s former associates. His father was Louis “Lew” Fratto, who used to roam the streets of Chicago with his brothers back in the 1920s. Johnny’s goal is to discover the truth behind one of the most famous mob days in American History. February 14, 1923 was the day of the St. Valentine’s Massacre. Johnny heard mob stories as a child, and he he combines those memories with forensic evidence and the opinions of gangster experts to piece together what really happened on that historic day in Chicago. Kill the Irishman had a long and complicated production history, one that took it more than a decade to be filmed and brought to theaters after entering production. The resulting film is a bit of a mixed success; poor box office returns, but some positive reviews over what turned out to be a solid gangster thriller. In the film, viewers are introduced to Danny Greene (Ray Stevenson), a mobster in Cleveland who ignites a turf war after working as a longshoreman in the Cleveland docks. 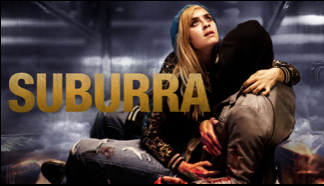 After being convicted of embezzling the union’s funds for his own good, he rises through the criminal underworld of his town, waging war on the mafia and escaping multiple assassination attempts. Eventually, the role he played in Cleveland led to the demolition of the mafia. 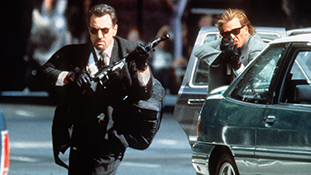 A landmark film in crime movies, Michael Mann’s Heat is often considered a career high for the trio of high-profile stars in the movie. Starring an ensemble cast, including Robert De Niro, Al Pacino, Val Kilmer, Jon Voight, Tom Sizemore, Ashley Judd, Natalie Portman, Tom Noonan, Hank Azaria, and Danny Trejo, Heat follows De Niro and Pacino as Neil McCauley and Lt. Vincent Hanna, respectively, the former a professional thief, the latter a member of the LAPD robbery-homicide department tasked with tracking down McCauley’s crew. When McCauley hires an outside criminal to help his group of thieves steal $1.6 million in bearer bonds, things go south fast when the outside help murders a guard, risking the entire mission and putting the heat on McCauley’s back. The film is one of Mann’s best, and despite it’s nearly three hour runtime, the film feels half its length. When three policemen, each with his own motives and obsessions, tackle the corruption of an unsolved murder at a downtown LA coffee shop in the 1950s. Each of the cops has a full backstory that threatens the way each treats the case, with all three officers ranking at different levels and looking to take down the murderer in one way or another. 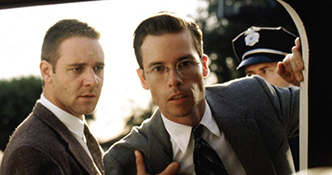 Detective Lieutenant Exley (Guy Pearce), the son of a murdered detective, is out to avenge his father’s killing. The ex-partner of Officer White (Russell Crowe), implicated in a scandal rooted out by Exley, was one of the victims. Sergeant Vincennes (Kevin Spacey) feeds classified information to a tabloid magnate (Danny DeVito). Written and directed by controversial filmmaker Troy Duffy in his debut, The Boondock Saints is a controversial, if not widely popular film. The original screenplay was considered immensely popular, one of the most-wanted in Hollywood, but following a troubled production which included Duffy’s outrageous behavior on set spiraling out of control, the film only achieved a limited release. 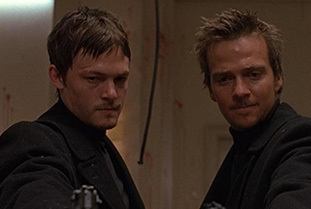 Still, the film, which follows brothers Connor and Murphy MacManus as they attempt to rid Boston of its evil as they’re followed and chased by detective Paul Smecker, has achieved a cult following of sorts, and is considered loved by many movie audiences. With a cast including Willem Dafoe and Norman Reedus, it’s well worth a watch. A debut film from a first time director, Charlie Countryman is a magical realism tale surrounding the life of the titular character. Charlie Countryman, a man living in Chicago, is distraught after the death of his mother. At the hospital, he sees her as a spirit and asks her what he should do with his life. She replies by telling him to go to Bucharest because she believes it seems right to do. On the flight, he meets Victor, an elderly man sitting next to him, who is returning home to Bucharest after seeing a Cubbies game, with a silly hat as a gift for his daughter. Partway through the plane ride, Victor dies, and Charlie sees him too as a spirit, who asks him to deliver his gift to his daughter, which he promises to do. Sergio Leone was a legendary filmmaker for so many reasons, helping to craft the classic western film. From The Good, The Bad, and The Ugly, to Once Upon a Time in the West, Leone made some incredible films and helped to bring both the genre of “spaghetti western” and the careers of people like Clint Eastwood. 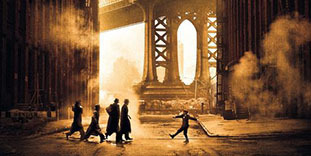 In his final film, Once Upon a Time in America, Leone returns to show off his skills as a filmmaker and to finish his final trilogy of films, the Once Upon a Time series. Originally envisioned as two three-hour films and then cut as a a single four and a half hour film, the finalized version runs three and a half hours as an epic tale chronicling the lives of best friends David “Noodles” Aaronson and Maximilian “Max” Bercovicz (Robert De Niro and James Woods, respectively), who both become Jewish gangsters in New York. An American cut rearranged the film and shortened the cut to just 139 minutes, becoming a commercial and critical flop in the United States. Thankfully, Netflix has the original European cut that has been acclaimed by critics for years. Ridley Scott’s epic gangster biopic reunites Russell Crowe and Denzel Washington for their first time on-screen since 1995’s Virtuosity. American Gangster tells the story of Frank Lucas (Washington), a gangster from La Grange, North Carolina who spent much of his adult life smuggling heroin into the United States on planes returning from Vietnam during the ongoing war efforts. 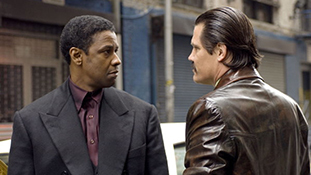 As Frank Lucas takes over the streets of Harlem, New York throughout the 1970s, Richie Roberts (Crowe) dedicates his efforts to taking down Lucas once and for all. 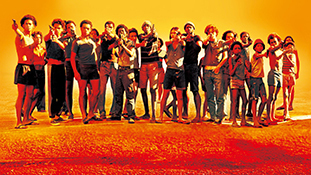 In this critically-acclaimed Brazilian film from 2002, the story of two young men trying to make their ways the in poverty-stricken slums of Rio de Janeiro in the 1970s unfolds in an epic fashion. 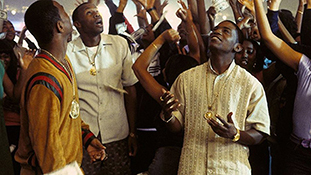 Co-directed by Fernando Meirelles and Kátia Lund, City of God follows Rocket, a budding photographer who has been documenting the drug-related violence of his neighborhood, and Zé, a drug dealer who uses Rocket’s photos to increase his fame during a turf war with rival drug dealer Knockout Ned. The film was nominated for four Oscars in 2003, including Best Cinematography, Best Director, Best Editing, and Best Adapted Screenplay, and remains one of the best films from Brazil to this day. In this Best Picture-winning crime drama, Martin Scorsese directs an A-list cast in this remake of the 2002 Hong Kong film Internal Affairs. Leonardo DiCaprio stars as Billy Costigan Jr, a student at a police academy who is recruited to go undercover in a crime syndicate in South Boston, thanks to his family ties that make him the perfect candidate. Years prior to that, Colin Costello (Matt Damon) is introduced to that same crime life by Frank Costello (Jack Nicholson), who grooms Costello to become a mole inside the Massachusetts State Police. As each man infiltrates their respective targets, the two men will start to chase each other, each having to protect both their own life and the lives of those they care about. 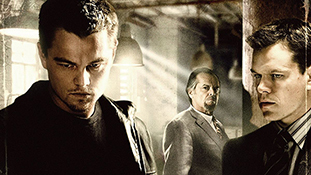 Also starring Mark Wahlberg, Martin Sheen, Alec Baldwin, and Vera Farmiga, The Departed was both a critical and commercial success, and is a much-see entry in Scorsese’s filmography.